Spring 2012 intern and Music Production & Engineering / Contemporary Writing and Production Major Alberto Vargas looks back on his internship at Mix One Studios, a recording studio in Boston specializing in voice-overs as well as post-production for film and television . In part one of a two part series, Alberto describes what it was like getting started at Mix One. This semester, I had the opportunity to work as an intern/assistant engineer at Mix One Studios in Boston. I have always been interested in this company, thanks to collaboration with Berklee and the Contemporary Writing and Production (CWP) program. Furthermore, one of the owners is Ted Paduck, a professor in the Music Production and Engineering (MP&E) department. Mix One is a great studio with many different rooms and purposes. It has two main recording rooms (Studio A and Studio B) for large tracking sessions and three post-production studios for smaller projects. Their work varies from large music sessions for artists, university projects, media production, commercials, and much more. They have amazing equipment and spaces to generate the best sounding recordings possible and the people to make it work. The company has a large variety of clients, from media companies, sports networks, and other media related organizations, to artists, universities and more. I got the opportunity to work under David Porter, an amazing mix engineer and producer. In the time I was there he worked mostly doing voiceovers and overdub sessions for commercials and TV ads, but he also organized many of the large sessions and supervised them. I was very lucky to have David as a supervisor because he believes in the interns that come and work at the studio and encouraged me to help out. I remember the first day I came into the studio for an interview and David explained to me the typical chores of an intern, taking out the trash, serving coffee, etc; but then he told me that it was up to me to show what I could do, and that little by little, I would be able to assist more on the sessions. And so I did. In a few weeks I was assisting more and more and learning a lot. I never got the opportunity to engineer a session, but I was assisting with set-up, giving ideas for micing techniques and when there were no sessions, I was allowed to do mixes of my own productions on the board and use the equipment in the room. This gave me the opportunity to work on a new room, to use a Neve console that I had never used, and use great equipment and some I had never used. It was a great opportunity. I worked every Friday and sometimes Saturday or Sunday and worked on various Berklee Projects, including CWP projects for Joe Carrier, and an organization called Berklee Beyond Borders. I also assisted in a gospel band recording, and some overdubs for different bands. 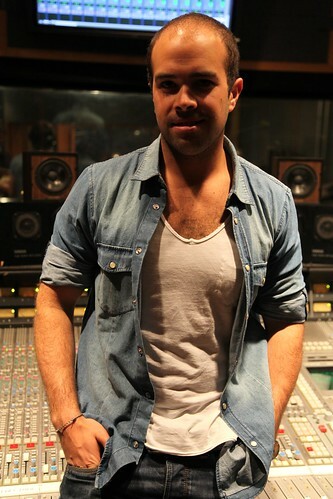 Alberto Vargas is a producer, songwriter, mix engineer and arranger originally from Colombia. His songs and productions vary from a wide range of styles and artists to orchestral, film and media productions. In Colombia he studied sound engineering and performed as an artist before coming to the U.S. to pursue his dream in the music industry. He graduated from Berklee College of Music in both Music Production and Engineering and Contemporary Writing and Production while at the same time working as a songwriter, producer, arranger and engineer for many projects around the world.